We will create superior roll stock that will run efficiently on your equipment with a wide array of features to meet your specific requirements. 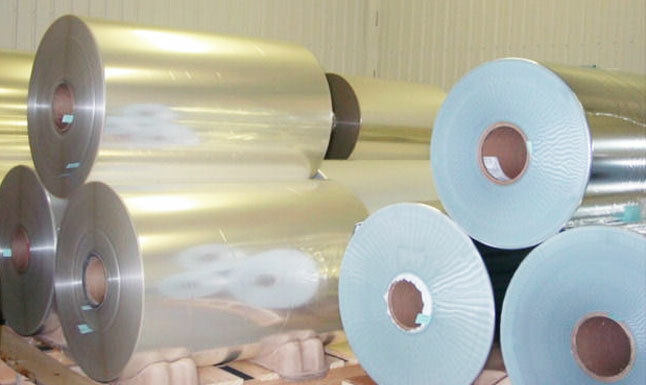 MAR-CO HARBOR GROUP manufactures packaging materials that meet our customers’ unique requirements for printed graphics, packaging performance, and machinability. We fabricate two major sets of products: 1) flexible packaging materials and 2) pressure sensitive adhesive/laminated structures. Wide web 6 color flexographic custom printing. Pressure sensitive adhesive (PSA) specific. Capable of handling thin gauge film to heavy gauge paper substrates. For more complex structural design, graphic design and a variety of prepress services including flexographic plate preparation, color separation, image setting and photo composition, we can work in collaboration with you and our suppliers/partners. MAR-CO HARBOR GROUP utilizes a number of testing devices to help monitor and control the consistency of our processes and the quality of our products. We maintain a modern quality control laboratory, which includes a variety of instruments capable of performing numerous tests required for consistent product performance. We utilize a number of testing devices to help monitor and control the consistency of our processes and the quality of our products.